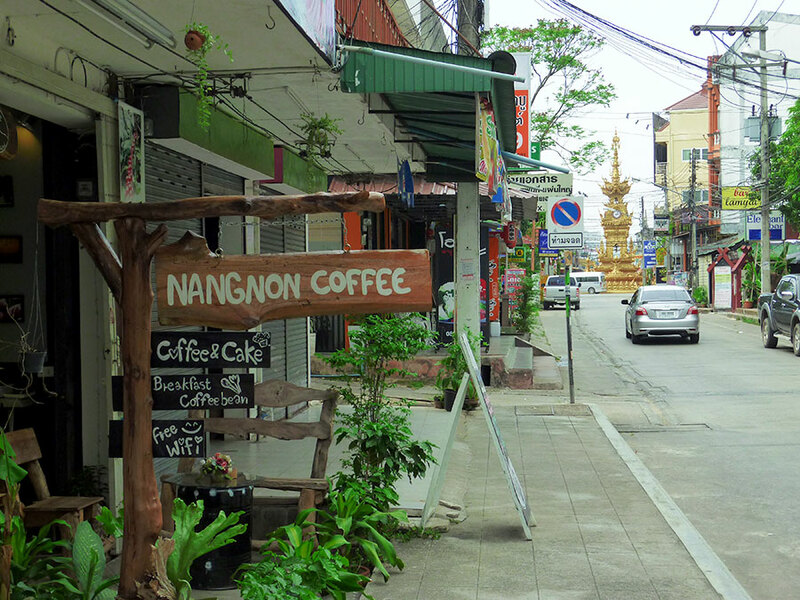 Thailand has become a coffee culture, and there is certainly no shortage of coffee shops here, but Nangnon Coffee is special. 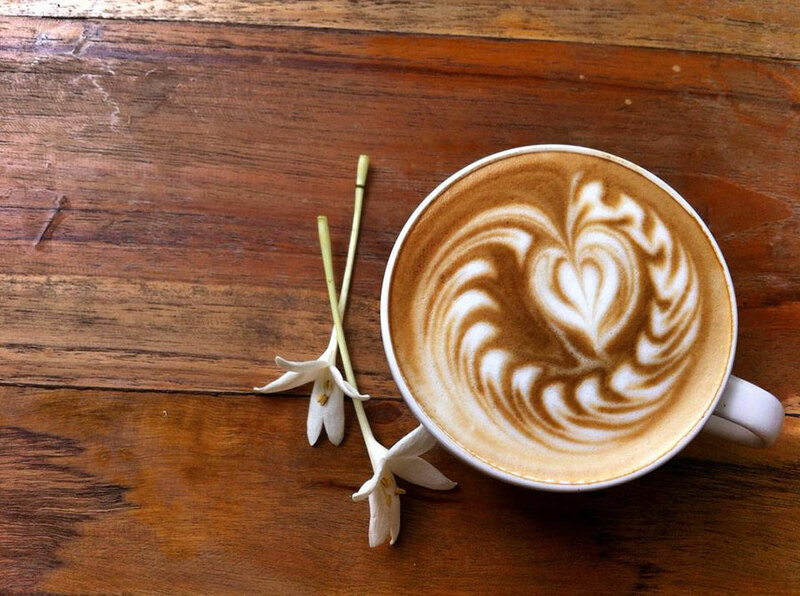 What I like about it is it’s run and owned by a sweet and lovely Akha hill tribe woman, and the coffee is locally grown and roasted. Her nickname is Tu, and she was fortunate enough to intern with Lee from Akha Ama Coffee (just after his sister to be exact). I knew Lee before he became famous for his coffee. In fact, I interviewed him for his website. And yes, he’s a nice guy! 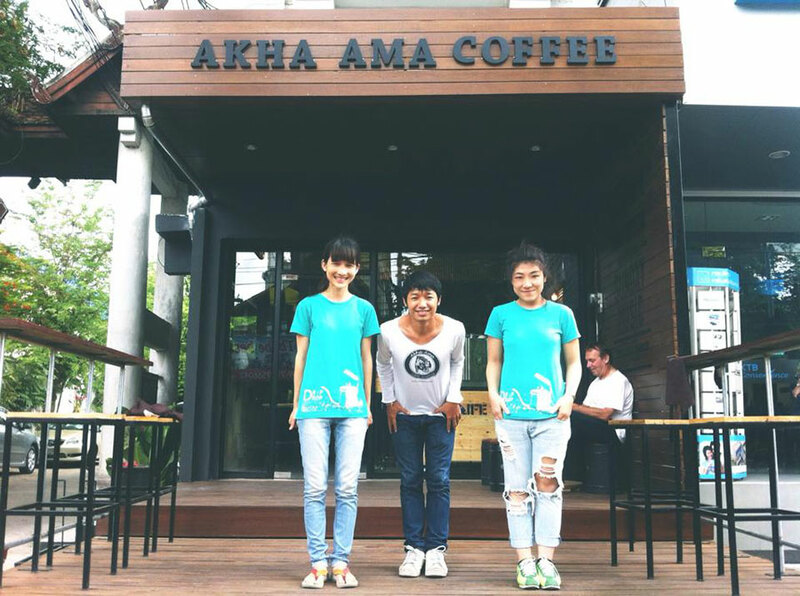 So, it is fitting that I interviewed one of his interns who opened up her own coffee shop here in Chiang Rai. JP photo bombs my pic of Tu. I opened on the 8th of January 2014. Open daily from 7:30am to 9pm on 1025/5 Jet Yod Rd. It’s very close to the clock tower (in the background). Oh, wow. Just this year, and how did you meet Lee and come to intern with him? Initially I met him when he returned to Chiang Rai Rajabhat University to receive an award for being a successful graduate. Lee majored in English and so did I. There’s a Facebook page for English graduates for our alumni, and this is where I contacted him for interning at Akha Ama Chiang Mai. It’s interesting, you and Lee are both Akha, and yet, you didn’t know each other through this connection. No, but after our families met, it turned out that my grandmother knew his grandparents! How long did you work with Lee? I interned with him for 3 months and then worked at Akha Ama Coffee for a year. When my brother became a solider, I had to return home to care for my father. My brother was caring for him, but he has to be in the Thai military for 2 years. If you join voluntarily after you graduate high school, it’s only a one year commitment. But if you wait, like my brother did, until you are 21, you have to serve 2 years. 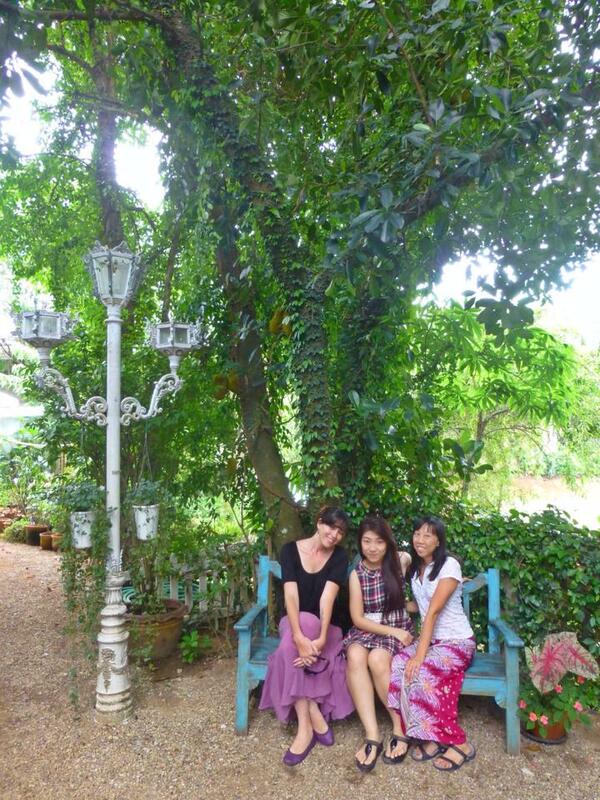 Jenny, Lee and Tu 🙂 in front of Akha Ama 2 in Chiang Mai (photo courtesy of Tu). She’s in Malaysia. She makes bpaa tawng goh (Thai style donuts that are commonly served with soy milk). So, in order to be close to your dad, you opened your own coffee shop, right? Where does Nangnon Coffee come from? It comes from our family farm in Maesai. We roast our own coffee, too. It means sleeping woman. Nang is woman, and non is sleeping. Nangnon is the mountain at Maesai. 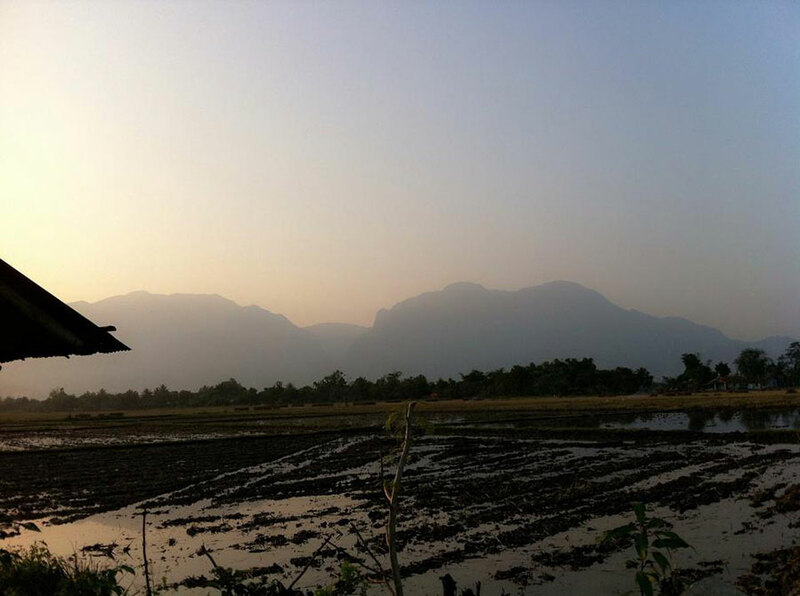 Doi Nangnon (courtesy of Tu). Can you see the sleeping woman? What did you learn at Akha Ama that you will remember most? I’m asked this question a lot. I learned that, unlike interning at a hotel where you might get stuck doing one thing like working in the kitchen, running a coffee shop involves much more variety. I enjoyed learning and doing different things, even when Lee asked me to translate something. Akha, Thai, English and Chinese. @Chivit Tamada ❤ Bri, Tu and me (photo courtesy of Bri). Noodles. Anything with noodles, I don’t like rice. Ole girl is blowing the Asian stereotypes off the sala roof. If you are in town, I hope you will stop by and support Tu’s independent spirit. Nangnon coffee is a direct from farm to customer product, too! 🙂 Cheers. I’ve started working on a little list for Chiang Rai, as it will clearly have to feature in my future travels. 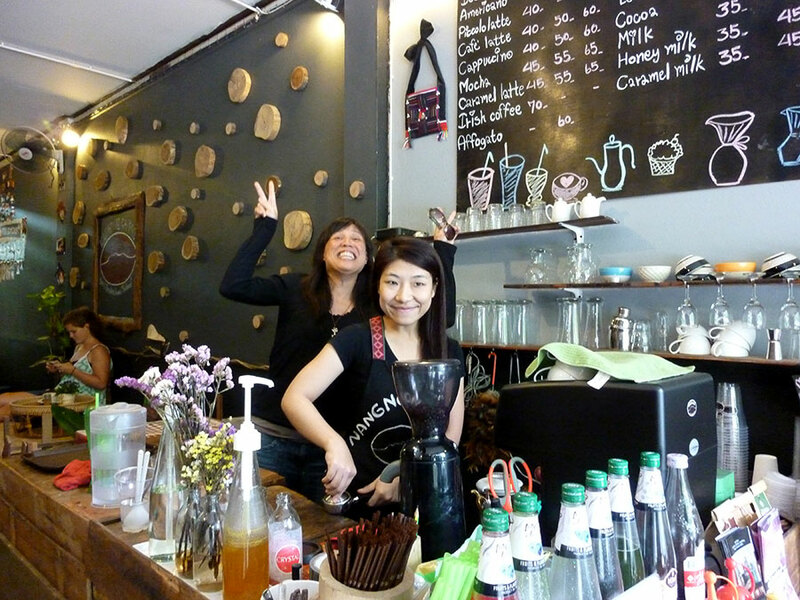 This little coffee shop is most certainly on it too, especially as I’ve been to the Akha Ama 2 one in Chiang Mai. The local coffee is simply delicious. I loved all the quirky coffee shops in Thailand. Yes, there are definitely some gems in Thailand. I feel lucky to have friends that are uber-obsessed w/ a good brew and bean, so I hear about the best places. It’s all about the connections, baby. Thanks Jolandi! Great interview! Would like to do this eventually for my town, but I hate approaching people. Yep, that would be a problem, haha. Love the photos, too. Most of them are hers 🙂 Yes, the photos help, eh? You should totally interview folks. It’s flattering for them and fun for you. I mean, I like getting to know the back story or the story behind the scenes. You can do it! Love the interview! That place looks so fun, and I imagine the coffee is divine! What a neat story behind it too – I’m totally going there. So, since you said Thailand has “become” a coffee culture, I’m guessing coffee shops weren’t so thick on the ground at one time. Where you there then? Actually, I think I was on the cusp before things really started to take off – at least in Chiang Mai. Here in the ‘Rai, Doi Chaang Coffee really started things going and I don’t know exactly when their big restaurant opened. Haha I see! Well it’s nice that it’s coming now! I have a question! I’m going to add a blogger list to my site and I’d like to put picture icons rather than just a text link – do you have a picture you’d like me to use? hey! i am sitting here in a casino in Indiana drinking a Starbucks latte and reading your coffee shop post. i hope to visit Nangnon someday, thanks for the info. are you familiar with JC’s retire cheap asia website? he creates videos of places of interest, like Nangnon…all around Thailand and neighboring countries. just food for your creative thought. 555. Hope you were lucky! Lani, Do you have directions or a Google Earth location for Nangnon Coffee? Couldn’t find them online. Good interview! I like these little snapshots of people’s lives and business. 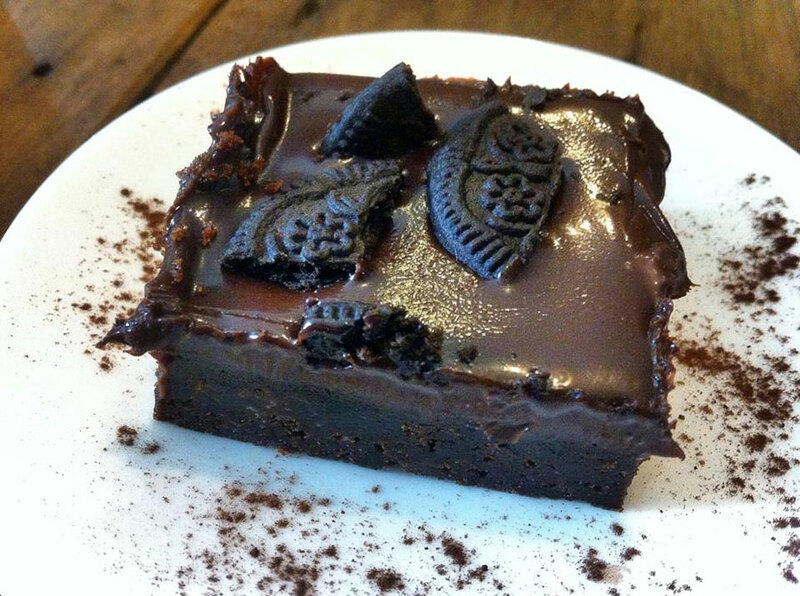 What a nice interview complete with sumptuous photos of the food and coffee! It’s really nice to hear from the independent business owner! A great vignette! Good points. Affordable, locally grown and ubiquitous! Cheers.